The museum holds the largest collection of gas and gas related artefacts in the world. 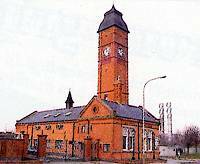 Situated in the Victorian gatehouse of the original Aylestone Road Gas Works, Leicester, the museum has something of interest for everyone. On the ground floor is the gas production area where visitors can marvel at the giant tools and equipment used to make gas and learn how gas was made from coal. Upstairs discover about natural gas and see our gas appliances display. Leicester City Bus No 37 passes the Museum. Sat Nav LE2 7QJ (which is different from the Post Code). National Gas Museum Postcode for SatNav: LE2 7QH.